Frozen Waffle - The Chip's Challenge Wiki - The Chip's Challenge Database that anyone can edit! Frozen Waffle is the 34th level in Chip's Challenge Level Pack 4. 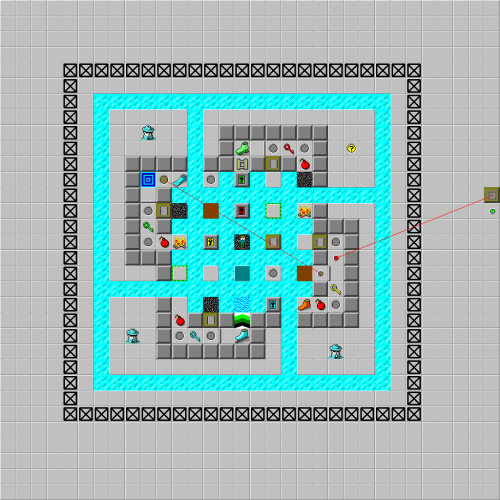 This level is noteworthy for holding the first secret hint with a password, skipping to a level further in the set. The password in this level is WTUH, the password to level 51, Ice in a Blender. This was used as a replacement to the original Cypher format from past official sets.